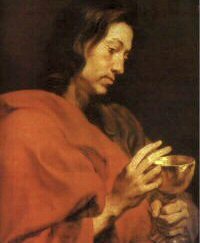 God our Father, you have revealed the mysteries of your Word through John the apostle. By prayer and reflection may we come to understand the wisdom he taught. Grant this through our Lord Jesus Christ, your Son, who lives and reigns with you and the Holy Spirit, one God, for ever and ever. Amen.